Sunshine and scorpions surround Kathryn Humphrey, who is embracing her new home in Tucson, Arizona—with the help from a secluded, yet resilient, saguaro. Kate, an illustrator hailing from the glitz and glam of Los Angeles, has called Tucson home since 2015. She moved here with her Air Force husband and five rescue dogs. 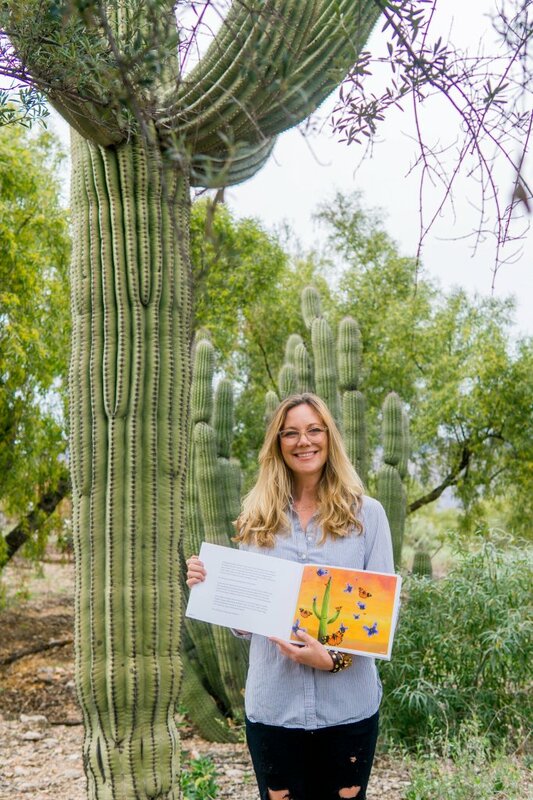 Trying to find her bearings on what she calls “a different planet,” Kate wrote her first children’s book, Hector the Loneliest Saguaro. When Kate first moved to Tucson, cactuses were just another desert oddity. But the closer she looked, the more intrigued and attached she became. On a road trip through Southern Arizona, saguaros decorated the dramatic landscape that encompassed her. But Kate noticed something. A lone saguaro, separated from the rest. And just like that, Hector, the loneliest saguaro, was born. On the anniversary of her mother’s passing and surrounded by her new environment, Kate remembered the secluded saguaro: alone in the desert but still standing strong and proud. Kate remembered her mother’s advice: When you are feeling sorry for yourself, go help someone else. So Kate began to write. 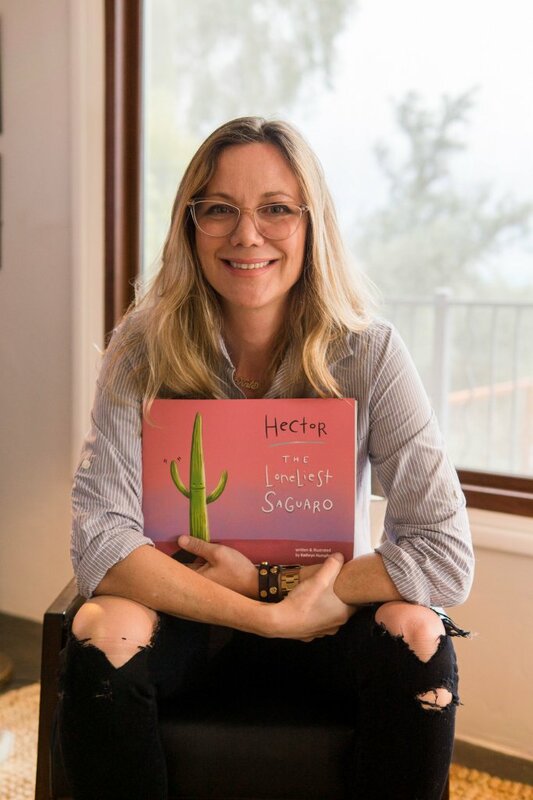 Kate’s children’s book, Hector the Loneliest Saguaro, takes kids on a journey of overcoming feelings of not belonging, remaining strong, proud and true to who they are—just like Hector. But it isn’t your average kid’s book. Kate said she’s always spoken to kids like adults and she wasn’t about to change that when she wrote her book. 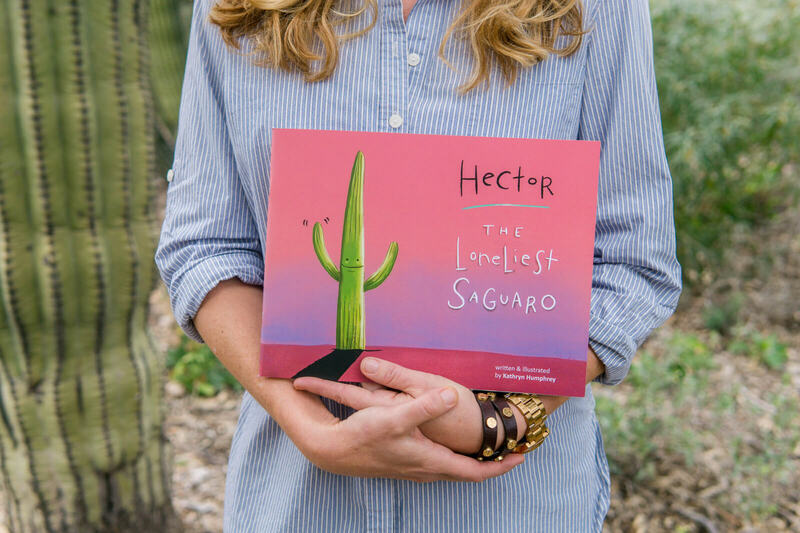 Hector the Loneliest Saguaro not only guides kids through some of life’s challenges, but teaches them about Hector’s own challenges in a sometimes unforgiving Sonoran desert. 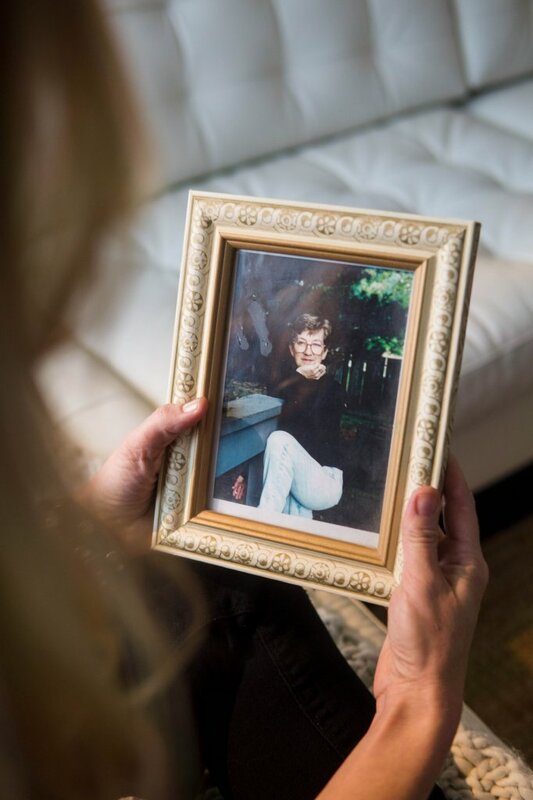 Kate Humphrey holds a photograph of her mother. Bees, butterflies, and woodpeckers accompany Hector on his educational adventure through the desert’s ecosystem. Kate intended her book to be for 7–12 year olds and read aloud to little ones. Kate is excited to get the book into the local market. Hector the Loneliest Saguaro is printed by Arizona Lithographers, a Tucson green printer that uses 100% renewable resources. For Kate, Tucson couldn’t have been a better place to create her book. With her mother’s advice wrapped around her, Kate continues to spread Hector’s story and fall in love with her new Sonoran desert home. Order Hector the Loneliest Saguaro by Kathryn Humphrey at hectorthesaguaro.ecwid.com.